October 13: Hit Woodbine’s Late Pick 4 on Canadian International Day, Saturday, October 13, to Split 1 Million XB Rewards Points. 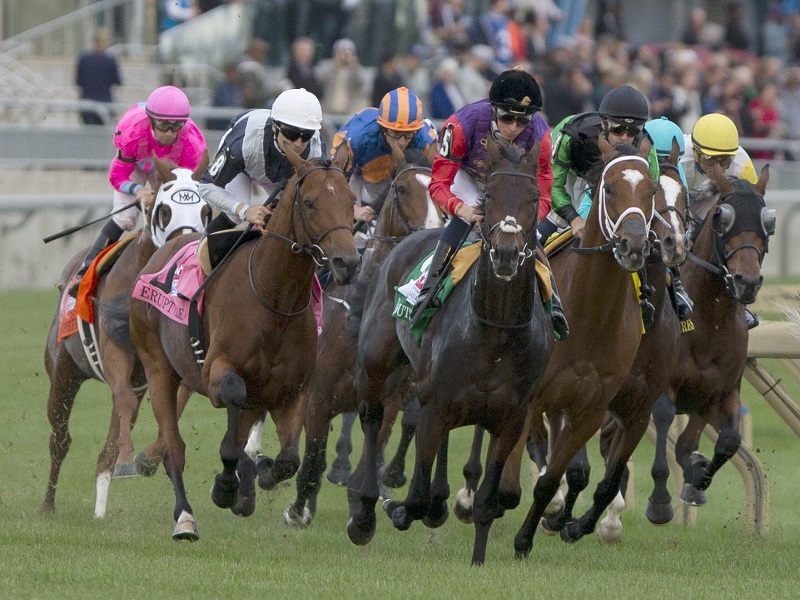 The Canadian International features a star-stacked international field of some of the finest three-year-olds-and-up in the world. The Canadian International also has a stakes-packed card, with the G1 E. P. Taylor Stakes, the G2 Nearctic Stakes and the G3 Ontario Derby. Make a winning bet on Woodbine’s Late Pick 4 on Saturday, October 13, 2018, to Split 1 Million XB Rewards Points. Points are evenly distributed among all players who placed a winning wager with Xpressbet. Points will be deposited into winners’ accounts by 5:00PM ET on Tuesday, October 16, 2018. Offer valid Saturday, October 13, 2018. Customers must register for Contest to be eligible. There is no fee to register. Contest wager is the Late Pick 4 at Woodbine Thoroughbred. Customers must hit contest wager to win a share of the 1 Million Points Prize. Bonus Points will be deposited by 5:00PM ET on Tuesday, October 16, 2018. Wagers that are refunded or canceled do not count toward this promotion. Participants must have an Xpressbet account in good standing to qualify for the promotion. Only wagers made through a participant’s Xpressbet account are eligible.